Wow! I just got back from witnessing another masterpiece from Mr. Burton, and I am in love! 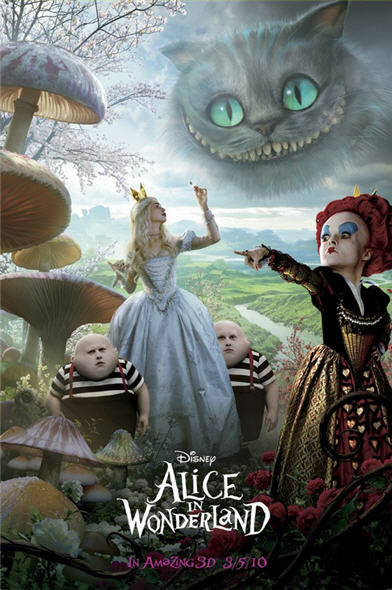 The characters were wonderful, and a lot of the story was based on the original "Alice through the looking Glass" with the Jabberwocky. 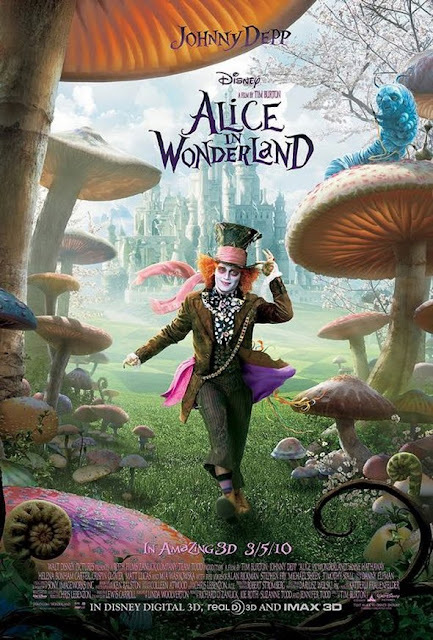 I felt so connected to Johnny Depp as the Mad Hatter, that I cried when I got home and the movie was over. He gave me the same feeling as when I watched Edward Scissorhands for the first time, as a young child. 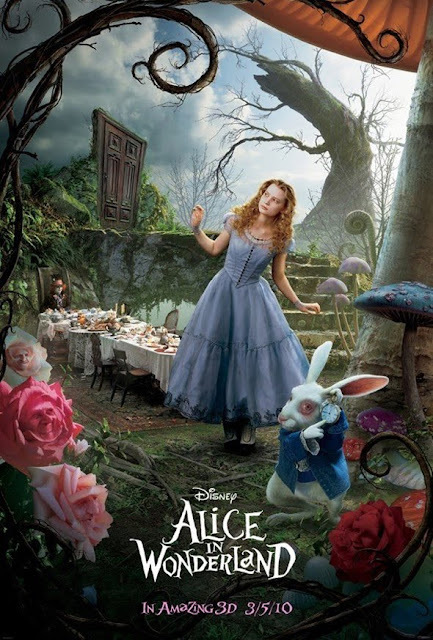 I felt I was living through Alice and I didn't want it to end! Everything was beautiful, including all of the littlest details, like monkeys holding candelabras and everything being heart-shaped. I loved the casting for Alice herself; Mia Wasikowska played a good modest girl who is not too, too pretty but far from ugly. Her connection to the Mad Hatter was a similar connection to that of her father, I felt. It was very nice. Tim Burton's movies would not be the same without Danny Elfman's magical musical compositions. Johnny+Danny+Tim = a tri-force of geniousness. Such a special, lovely formula that I hope will never end!